Cellist Joshua Roman, described as â€œa cellist of extraordinary technical and musical gifts,â€ makes his much-anticipated return to the Des Moines Symphony in DvorÃ¡kâ€™s dramatic and virtuosic Cello Concerto. Sibeliusâ€™ romantic Second Symphony is the composerâ€™s most popular, with majestic, heroic melodies and an epic, rollicking conclusion. The Legal Circle is the Guest Artist Sponsor for this program. PRELUDE CONCERT: Join us prior to the concert on Sunday April 19 in the East Lobby for a performance by our Symphony Academy Zauberflote ensemble. Join several Des Moines Symphony Orchestra musicians after our Saturday, Apr 18 Masterworks concert at Coda Lounge in the Renaissance Savery hotel for our new Coda after the Concert event. Learn more here! 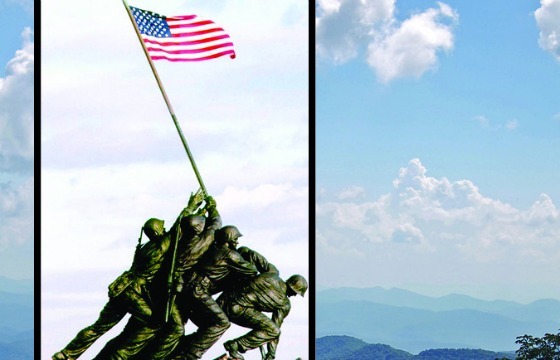 On May 23 & 24, Memorial Day Weekend, our Season closes with Coplandâ€™s Pulitzer Prize-winning Appalachian Spring, one of the most iconic pieces of music ever written. And, as an encore to the hugely successful Symphony In Sculpture, we have commissioned Steve Heitzeg to compose a new work inspired by the Pappajohn Sculpture Park, including its newest addition, Olafur Eliassonâ€™s colorful Panoramic Awareness Pavilion. Purchase your tickets today! Reserve your favorite seats at our best prices for our 2015-2016 season. Renew by May 24 and we'll pay your Civic Center Handling Fees. You won't want to miss our season highlights that include Tchaikovsky's First Piano Concerto, our annual Beyond the Score multimedia concert, an All-Tchaikovsky Season Finale and so much more. Purchase your season tickets today! 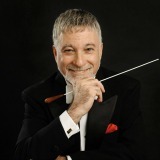 Music Director & Conductor Joseph Giunta has been inducted into the Mid-America Music Association Hall of Fame. Learn more about this honor here! We're giving away 200 free student tickets for our Apr 19 concert to celebrate our third annual Des Moines Symphony Academy Day! Learn more about this exciting offer here. 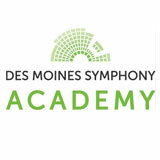 John Deere is the exclusive sponsor of Des Moines Symphony Academy day. 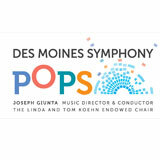 Mark your calendar for Thursday, July 2, when the Orchestra will take the stage for the Des Moines Symphony's 22nd annual Yankee Doodle Pops.Or, celebrate our nation's independence the same evening at the Des Moines Symphony's premier fundraising event: the Viewing Party for Yankee Doodle Pops. Mark your calendar for our seventh annual Yankee Doodle Drive Against Hunger and help us serve our fellow Iowans in need! View details here. Calling all trained singers: on June 16, you can audition to sing the National Anthem with the Orchestra at the Des Moines Symphony's Yankee Doodle Pops! View details here. The Des Moines Symphony played for more than 4,000 fourth and fifth graders this week as part of our annual Youth Concerts! Catch more fun news like this on our Facebook page. Copyright Â© 2015 Des Moines Symphony, All rights reserved.